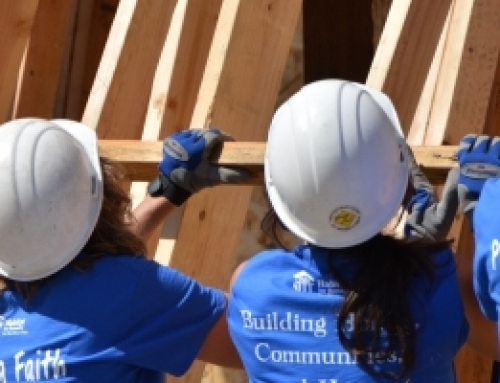 This month Habitat Texas is proud to highlight the work of Waco Habitat for Humanity. Waco Habitat for Humanity supports the Habitat mission through new home construction, home repairs, and a ReStore. Since 1986, Waco Habitat for Humanity has built 171 new homes and repaired another 440 owner-occupied residences. Waco Habitat builds 6-8 new homes and repairs 25-30 owner-occupied residences each year. Waco Habitat for Humanity utilizes about 1,800 volunteers per year and they provide about 12,000 volunteer hours. Waco Habitat for Humanity is nearing the end of their annual Raise the Roof Build with the City of Waco. Their partnership with the city dates back to 1999, which marked the first time Waco Habitat for Humanity served as a Community Housing Development Organization (CHDO) for federal HOME funds, administered by the City. This exciting build allows about 150 City employees to join Habitat staff, Board members, and volunteers over the course of a 5-day blitz. The Waco Mayor, City Council Members, local media, and neighbors join Waco Habitat onsite and celebrate with their homeowner partner family as they “raise the roof” on their new home. Within the next couple of weeks, Waco Habitat will sell this home to the partner family, then celebrate later that afternoon with their valued partners at the dedication of this new home in the Waco community. Thank you to Waco Habitat for Humanity for being an outstanding affiliate and a leader in affordable housing in Waco! Fun Facts! When Brenda Shuttlesworth, Executive Director of Waco Habitat, first arrived in Waco, the staff had little pop culture or sports knowledge. Since Waco is rich with sporting teams, a top notch zoo, a world class park, various institutions of higher learning, and Magnolia Silos, Brenda decided they needed to have challenges, games and prizes that grow such knowledge. On one such occasion, they gathered for an all-staff day of learning and fun. At the conclusion of their time together, they went outside and lit a small fire to torch the toads: plastic frogs, mind you, no animals were harmed in their visual to remind them to support a local football team facing an arch rival the following day. Waco Habitat is a pretty silly and animated bunch, especially discussing basketball and football, but some staff members can hold their own on a whole host of sporting activities! Another fun fact! 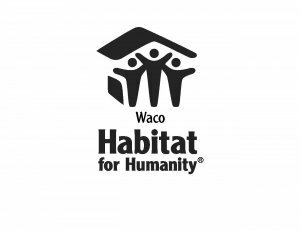 Waco Habitat for Humanity was founded by Joe Gatlin, who serves with Habitat for Humanity International. Baylor Campus Chapter, which Waco supports, was the first campus chapter of Habitat for Humanity in the nation. So, Waco has both the oldest university in the state of Texas and the most tenured Habitat Campus Chapter in the nation!